I am very surprised that there has been no discussion on the two big issues that have rocked the Independence question this week - issues that surely were always going to be top of the list? GG.You better be more specific.Different people may have different ideas on which are the vital issues. Yes I agree but I was referring to the two issues in the news this week which have always imho been unexplored properly: the right to EU membership and currency union. Personally, I think there are bigger issues myself but I certainly don't believe that Osborne's speech was 'insulting and demeaning' as Salmond claims. These are issues that need discussing. Maybe because the majority aren't bothered and are happy with the status quo. Whatever gets you thru the night. J Lennon. My only links to Scotland are my Father who was a son of the Wee Toon, so I would not have the impudence to try to sway my Scottish friends on how to vote in the forthgcoming election but I must admit that the thought of being abandoned to a permanent Torey Government south of the border terrifies me! They will almost certainly get the boot at the next election but if you lot give it the swerve they will be in power down here forever! Just heard that Bowie is in favour of keeping the alliance. That's that sorted then! Jings, the non-taxpayer is after a knighthood then? Aye Davie, at least Oor Billy is keeping his mooth shut! It is quite an absurd notion that Scotland would not be "allowed" to retain the Pound Sterling. Given that, it's supposedly a shared currency, it is in essence co-owned. It is NOT appropriate for either party to deny access, and must be mutually negotiated. 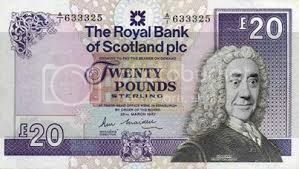 An Independent Scotland, would be better served by it's own currency, and could revert back to Pound Scots. It makes no difference what it is called, although there is a degree of sentimentality to the word pound. The switch from imperial to metric was feared, but people soon got over it. The EU: a natural path of association will develop. In, out or toe in the water, it will certainly involve a referendum. David Bowie: not exactly relevent is he? But one of the first of many celebrities that will be wheeled out to appeal to the foolish. I am in total agreement with you Govangirl on tax evading "celebrities".Make loads of money in the U.K.and then bugger off to some tax haven. tarmmaker wrote: Just heard that Bowie is in favour of keeping the alliance. That's that sorted then! baz wrote: It is quite an absurd notion that Scotland would not be "allowed" to retain the Pound Sterling. I really don't think that's quite true Baz. It is not automatic that ANYONE would enter into a currency union with Scotland. Personally, I believe it is in the best interests of London to have Scotland within a currency union but it is certainly not as you state. It is NOT about whether they should use the pound but whether or not there can be a currency union. I think two of Salmond's key policies – a currency union and automatic membership of the EU - have been blown out the water and his childish response when this has been pointed out is scary. It's like he refuses to engage on the really serious issues - is that not worrying? I've heard nothing yet about the situation when the No vote wins. Will the SNP step down, as they are putting all their eggs in one basket? After all, the SNP only won the vote because Brown had ballsed things up for so long and was getting into the arrogance territory filled by so many politicians. Do any of 'THEM' hae a clue whit they want ? ---wan year wan thing , anither year anither ! 1999, Mr Salmond insisted that an "economic policy made in the south east of England, by the south east of England and for the south east of England" was damaging Scottish business.The pound, he said was "a millstone round Scotland's neck"
---- 2009, at the SNP's annual conference in Inverness, the party's former treasurer, Ian Blackford, argued that being "tied to sterling" after independence would mean Scotland having to, "pay the price in higher interest rates while being exposed to a currency that has a history of suffering from wild fluctuations"
--- 2009 MEP Alyn Smith said Scotland was "currently part of a debt-laden sub-prime toxic asset currency we don't want to be part of and which is not serving our interests well". Next the --- Rupee ? or Yen ? or whit ? Govangirl wrote: I really don't think that's quite true Baz. It is not automatic that ANYONE would enter into a currency union with Scotland. Personally, I believe it is in the best interests of London to have Scotland within a currency union but it is certainly not as you state. It is NOT about whether they should use the pound but whether or not there can be a currency union. You seem to have missed the point, or perhaps chosen to ignore it. A currency union already exists. The question is, what form does it take after Independence? but then they also suppressed the McCrone Report for 30 years. Westminster's duty is to the Bank of England, and they always act accordingly. There is more a stake than squabbling over fiscal matters. of the same in the Firth of Clyde? Probably being dim here, but I don't understand the link.